They write: “Nature’s One is the leader in organic pediatric nutrition, offering a better start for every child. 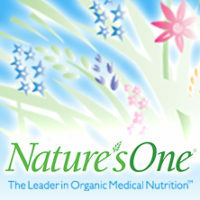 Founded in 1997, Nature’s One is independently owned and the leading organic formula company still today. From the beginning, Nature’s One has invested millions in the development of ingredients and science that embraces the meaning of organic while insuring the purity that parents demand for their child. Nature’s One introduced the first organic formula in the USA and now sells into many countries where consumers demand the very best for their family. Brands found worldwide include Baby’s Only Organic, PediaSmart and PediaVance. Pasture 70 Supplier farms do adequate grazing in a difficult climate. Cull/death Rate 75 Moderate cull/death rate. Will vary widely between farms. Extra Credit 150 Top transparency! Provided information about where they source their grain (from the open market).